Robson Square is a civic landmark and public plaza, located in Downtown Vancouver. Besides a cultural focal point for public art and ice skating rink, it is the site of the Provincial Law Courts, UBC Robson Square, government office buildings, and public space connecting to the Vancouver Art Gallery and the city’s major shopping precinct. 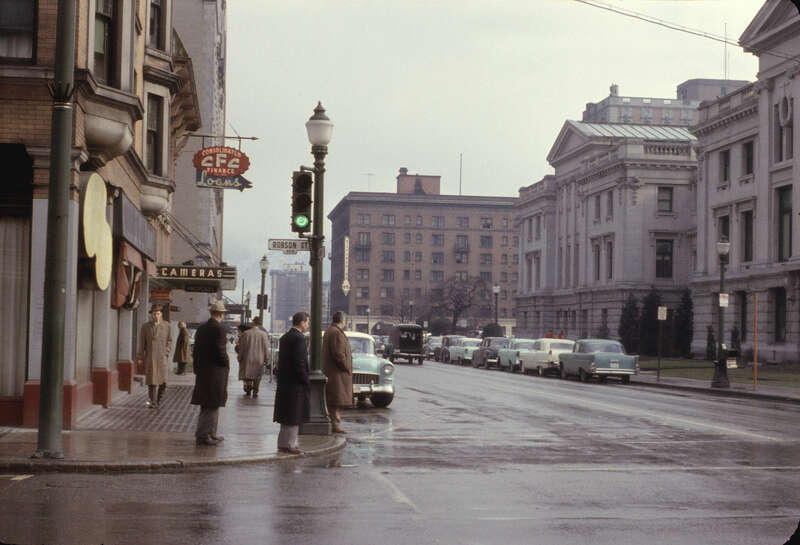 What used to be where Robson Square not sits? 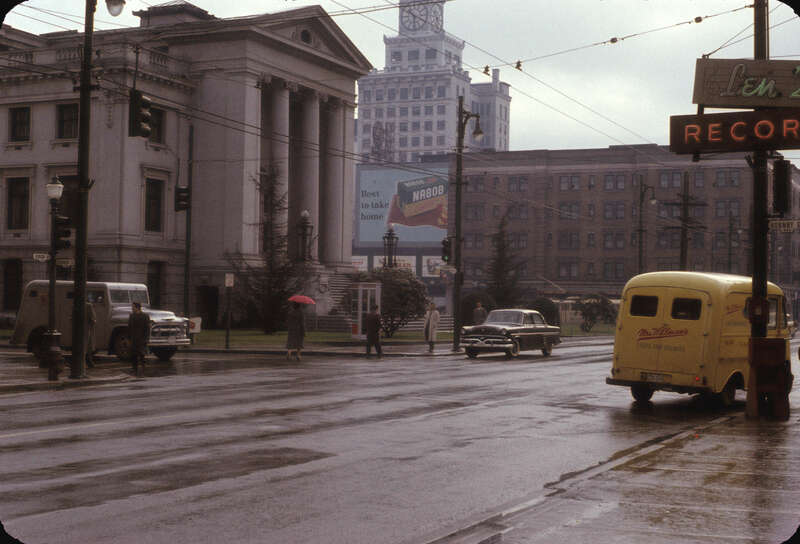 [Robson at Hornby Street scene, downtown Vancouver] (195-)- City of Vancouver Archives AM1517-S1-: 2008-022.057. 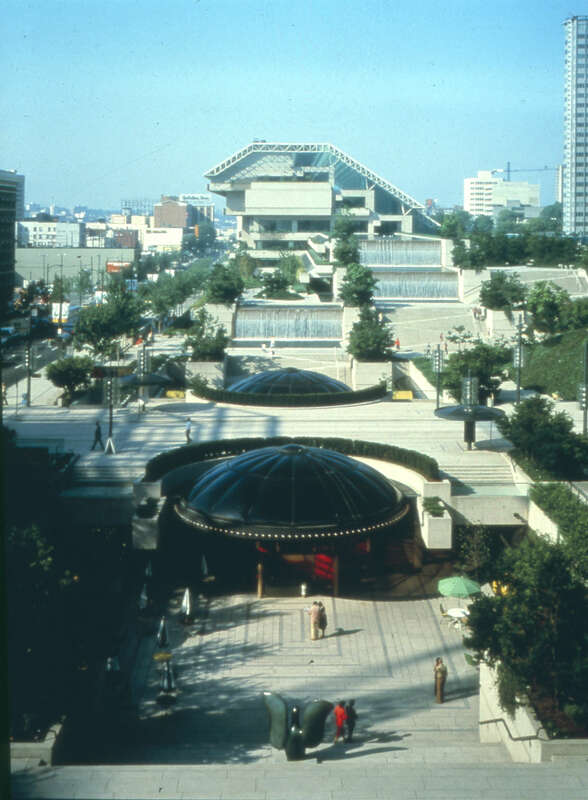 Robson Square was designed by Vancouver architect Arthur Erickson. It opened in two phases, in 1978 and 1979, and was completed at a total cost of $139 million. Vancouver’s first outdoor public skating rink opened in Robson Square in 1982. 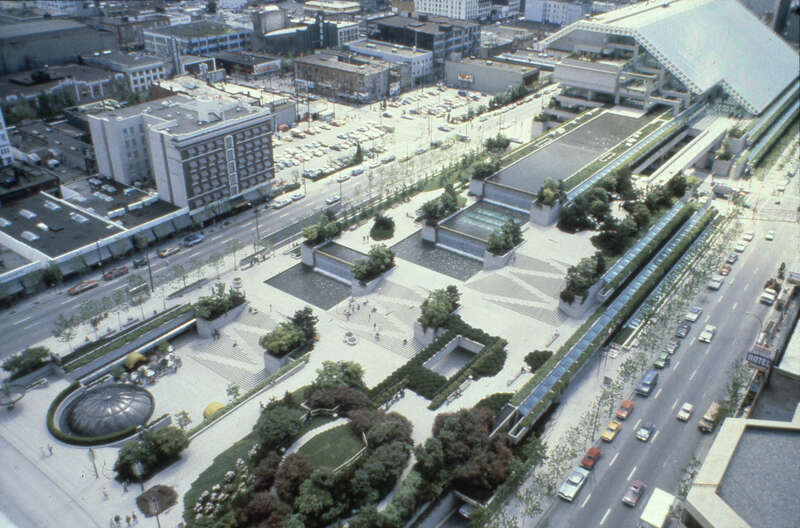 From 2004 to 2011, the Province worked to revitalize and extend the life of Robson Square. The renewal project was a $40.9 million, multi-year project to ensure the vibrancy of the landmark space continues well into the future. In 2010, Robson Square hosted the only free organized public activity in Vancouver on New Year’s Eve. More than 1,200 people came out to enjoy live music, skating and New Year’s countdowns. 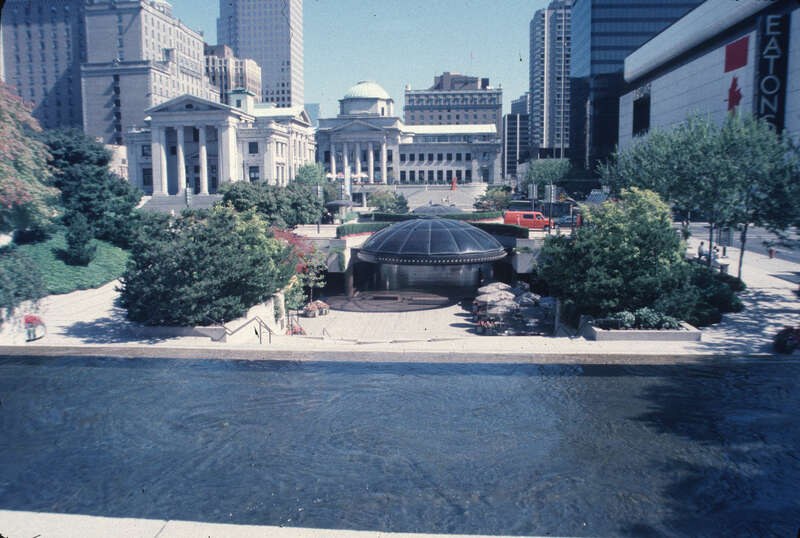 Robson Square, 800 Robson Street (1986).